So how to choose a medical alert system since the range of options available is increasing everyday. Choosing the right personal emergency response system for yourself or a vulnerable member of your family can be quiet daunting. -Surveillance / Movement sensing systems — maybe too invasive I certainly wouldn’t want family or friends watching where I am in my house (or be watched by hackers) My privacy is important to me! — all can provide increased independence for our loved ones and peace of mind for us as family caregivers. But now, how do you select the best Alert that suits your family situation? As technology advances are making it much much more complicated, the range of options has grown from the original necklace pendant device with a button which just called your allocated family, neighbour to calling a emergency response center in case of emergency. Present day systems may include fall detection or prevention, in-home health and well-being monitors, fitness trackers, movement sensors, daily manual calls, voice activated internet connected and more. To select a medical alert system one need to understand your vulnerable loved one’s specific needs and abilities — today and how things might change over time. Direct Call for help. – Emergency Services No in your country (fire department, police, ambulance) or a Wearable device with a button to push for help may connect to your family & friends live. Fall detection or prevention. 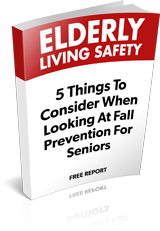 Every second of every day in the United States an older adult falls, making falls the number one cause of injuries and deaths from injury among older Americans. In fact it’s possibly the most common reason for looking into medical alert system. GPS location detection and tracking. May Useful if your loved one is still driving and independent but has a medical condition which would need you to find but in that case probably should be driving unless they’re in a self drivable robot vehicle. Daily check-in services. Via a live person either in person or by phone or electronic daily automated call check-in to ensure all is well. Is the device wearable and comfortable (not too heavy, no sharp edges or strap materials, or electromagnetic effects which may irritate you or your fragile skin) to wear, is your vulnerable loved vain and needs a device which is it attractive or unobtrusive enough to be willing to wear it? How waterproof is it? Fully waterproof and can it be worn in the shower or be fully immersed in water in the sink or bathtub? Many falls happen in the bathroom and kitchen and often at night when many remove worn items like jewellery, so this is vital. When you shower is this where you put your waterproof medical device? Does it have a base unit, if so what’s the range, mobility and connectivity? Will it work when they are outside in the yard or garage? Can you connect to a smartphone or via Bluetooth? etc. What is the quality? How durable is the system? Technology is changing rapidly will it be up to date tomorrow? How’s is the battery charged? Do you have to take off the device to charge it? Will you know when the battery is low? As technology changes rapidly what sort of expertise will you need to connect your device? If software is involved will updates be implemented (automatically or manually). Is a specialist required to install, update, or just to manage the system? What type of phone service is required — cellular or landline, or both? Will you or can you add extra panic buttons around the home? Is it portable? If your loved ones move, can the system move with them? Do you have an lock box? In a lockbox included? Installation of a lockbox so that access, if needed to enter the home should the resident become incapacitated. What is the connectivity? Can family members connect with the device using a smartphone, tablet or computer? Monitored systems with 24/7 response centre. Is the response center certified? Is the response centre able to communicate in your vulnerable loved one’s preferred language? How will you and your vulnerable loved one be notified or know that action is being taken? Can you designate how you want various types of alerts/calls (urgent, nonurgent, emergency)? Does the system notify a response center, family/friends or immediately directly contact emergency services (police, fire department, ambulances)? Cybersecurity. How does the company protect private information and can the system be secured locally at your residences to prevent hackers from accessing your system? Fees. As usual complicated pricing plans or hidden fees make it hard to make comparisons. Look for a company with no extra fees related to equipment, shipping, installation, activation, or service and repair. Beware of scams. Contracts. Watch out for long-term contracts although where equipment is installed in your house contracts may be longer or up front fees will be larger. Monthly fees, range between $25 and $45 a month (about $1 a day). If your paying for the system in advance make sure they have a refund policy, since you may need to stop the service temporarily (due to a hospitalization, or a holiday for instance) or permanently. What guarantee and cancellation policies? Normally expect a full money-back guarantee for unused portion or if the trial period is unsatisfactory. Look for the ability to cancel at any time with no penalties (and a full refund of any prepaid portion). Discounts. Check if discounts for veterans, membership organizations, medical insurance or via a hospital, medical or care organization. Insurance. Generally Medicare and private insurance companies don’t cover the costs of a medical alert systems. But it will you no harm to check with your insurance company to see if it pays a part of or offers discounts or referrals. Many companies offer the traditional medical alert services, but not are able to offer services near you check out your local business guide. There cell mobile service apps that work like the traditional medical alert services but are usually not monitored. Technology companies are offering voice based solutions and home security companies are now offering these services as an add on. Online searches using keywords such as “care calls” “safety calls” “medical alert systems,” “personal emergency response systems,” “fall detection devices” and “urgent response devices,” including state or local community. Contact your local aged care agency and see what they can recommend. When you check out which senior facility your vulnerable loved moves into make sure what it may offer as an in-house or external medical alert system or care calling system to make sure you are OKAY every day as part of their overall services. Beware if they have pull cords around the room or apartment. Too often people don’t fall or become ill within convenient reach of the pull cord. Investigate many services or discounts offered through local or national membership organizations, veterans groups or the Department of Veterans Affairs, hospitals or community organizations aged care organizations. Are you already connected to a home security system and service it may be possible to add daily call or medical alert system for a small additional fee. Get referrals. Ask friends and family members if they can recommend any medical alert systems they have used or if their parents have actually worn the medical alert or what the issues were. If you’ve selected a system, be sure it is working for your vulnerable loved ones. Don’t hesitate to switch to another system or combine with another service if it isn’t a good fit — it could save a life and save the quality of life of your vulnerable loved one.